This broccoli is roasted at high heat until crispy on the edges and tender. I love to serve it with a bowl of lemon garlic aioli; which is just a fancy way to describe goosing mayonnaise with lemon juice, zest, and garlic. 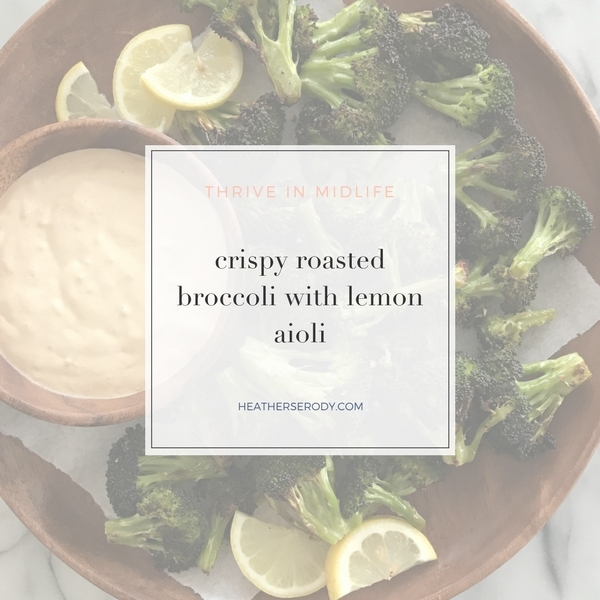 There's something about broccoli & lemon just goes together nicely. Serve hot straight from the oven. Place florets in a single layer on a parchment-lined baking sheet. 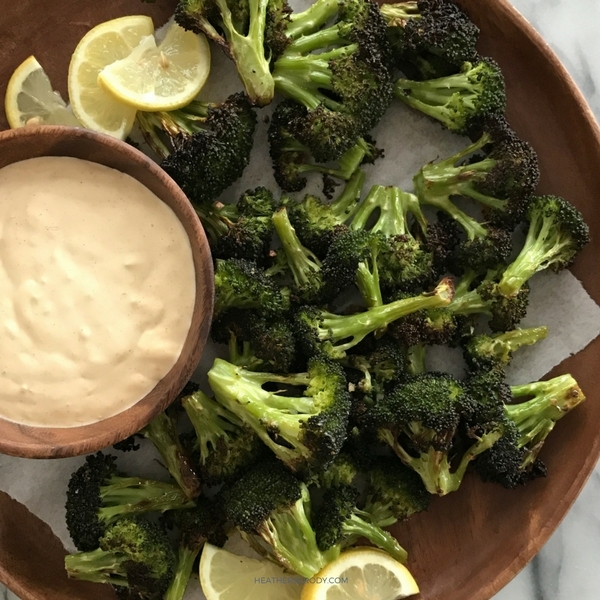 Pour melted butter over and toss with your hands until broccoli is evenly coated. Add garlic to broccoli and toss together again. Season with salt & pepper. Roast in the oven for approximately 15-20 minutes or until tender and edges are just starting to brown to your liking. I like my broccoli well-browned on the edges. Serve on a platter with the lemon garlic aioli for dipping. Smash the garlic cloves and salt together in a mortar and pestle until it forms a paste. If you don't have a mortar and pestle mix it in a flat bottomed bowl flattening it with the back of a spoon until soft. Add the salt & garlic mixture to a small bowl along with the remaining ingredients and whisk well until combined. Taste for seasonings and adjust to your preference.